Fire guns / drop bomb. Once bombs are away.. run like hell. 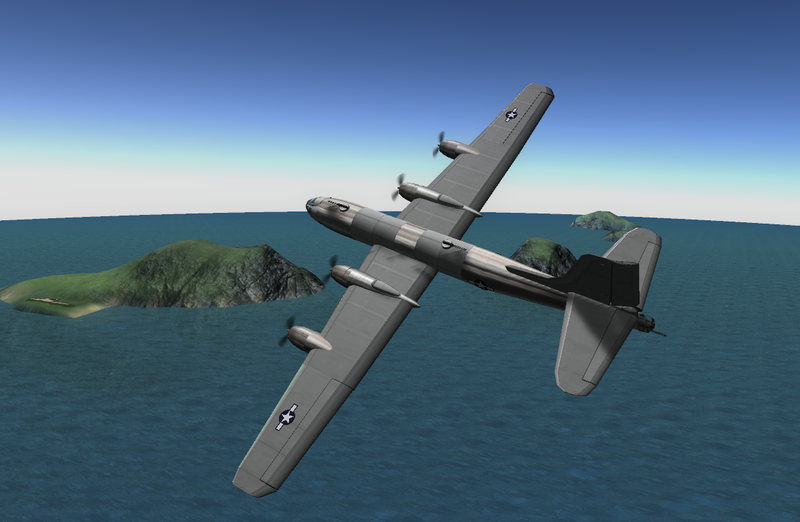 Heavy bomber used by the USA during WW2 and the Korean War. Flown by the RAF as the Washington B1. SILVERPLATE variant with fewer defensive turrets, delivered the Hiroshima and Nagasaki atomic bombs. This model has been put together to represent the silverplate variant, with fewer defensive turrets and single bomb-bay to accommodate a large nuclear bomb. Good luck getting clear after dropping it! 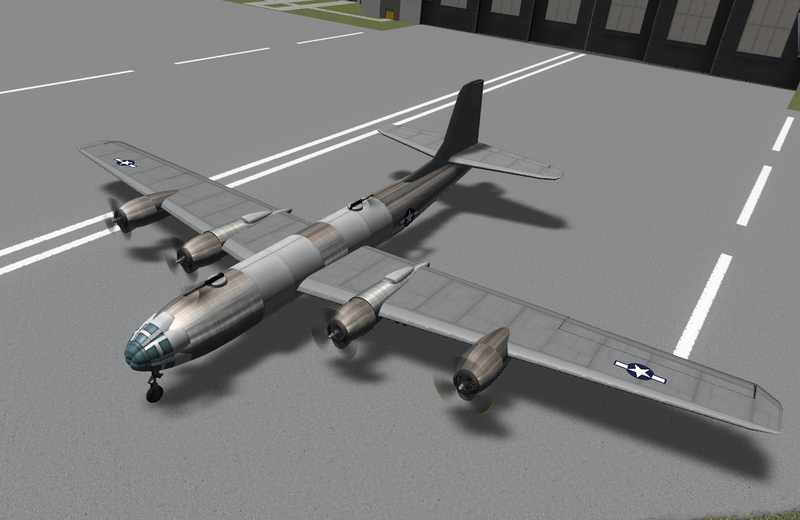 This variant is also representative of B29s used in the Korean War. 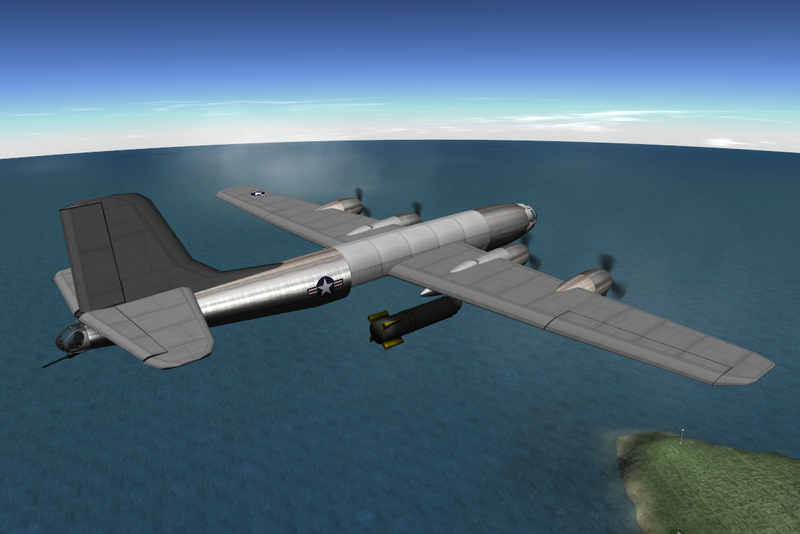 Just swap the nuke out for some conventional bombs, and add back some of those turrets! (see below). Built with 75 of the finest parts, and to precise scale, using appropriate weapons, systems and textures wherever possible. 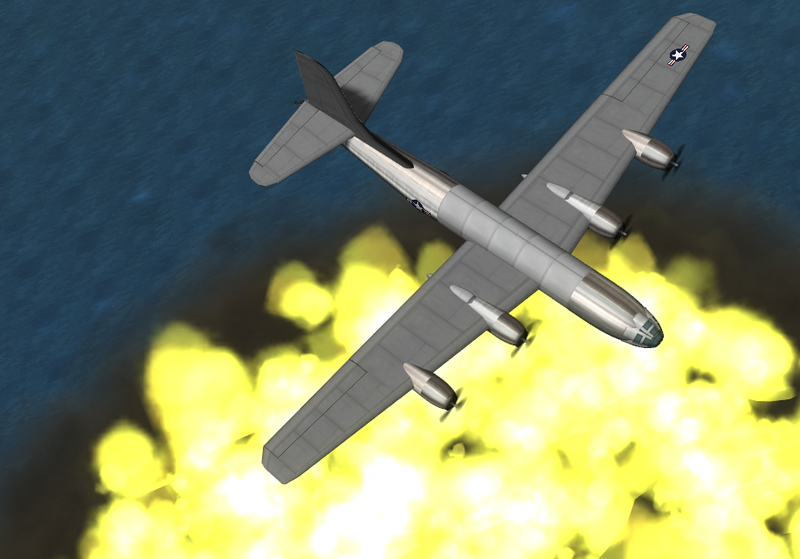 Update: Defensive tail turret has been changed, and bomb removed, to allow this plane to be used without the mod North Kerbin Dynamics which had been causing problems for some users. Users are now invited to add their own bombs to this plane before takeoff.